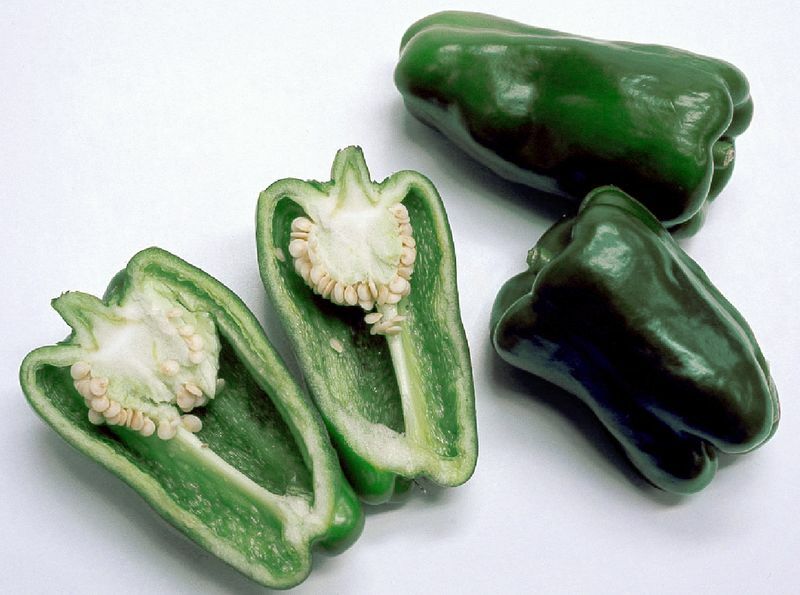 Japanese “Sweet Pepper” is slightly different from bell pepper. It is smaller, thinner, has a little bit of bitter taste, has fewer seeds, and is always green. This recipe is similar to other countries’ Stuffed Pepper recipes. But because Japanese sweet pepper has a thinner flesh, we can cook this recipe in a pan easily. I also sprinkle it with some soy sauce when I serve, but you can use any sauce you like. I use Mini Peppers in this recipe. You can find these at many grocery stores. Japanese sweet pepper is high in vitamin C and A. You might want to cook this pepper with some cooking oil because the oil helps our bodies get vitamin A more easily. This is a summer vegetable so it is good to eat during the Summer. Categories: Chicken, Stuffed | Tags: beta-carotene, Carrot, Chicken, Delicious, Easy, Ginger, Healthy, Homemade, Japan, Nutrition, Onion, protein, recipe, Vegetable, vitamin A, Vitamin C | Permalink. I like the red peppers and that looks so delicious (as do all of your wonderful recipes) that it makes me want to eat it right now!! !